Maybe you have heard of timber framed houses, but aren’t entirely sure if that is a good idea for your new home. Well, here are four ways timber framing is ideal for you to build your new house with so you can have the home of your dreams. First of all, it is cost effective. You can achieve savings through low labor costs thanks to the quick assembly and fewer processed materials. A professional contractor can offer assistance in the design and help you keep the costs down while staying on budget. Due to the simple design and amount of materials, it is a relatively quick assembly process once the wood is delivered from the warehouse. While it’s possible to do this yourself, we highly recommend hiring a professional contractor to construct the house. That way, you can be assured that everything is where it should be and completely safe. For a strong and durable structure, timber framing is the solution. Wooden poles are placed directly into the soil, which provides a sturdy foundation that isn’t affected by weather. The timber can bend without cracking or breaking, which allows it to move and breathe naturally. 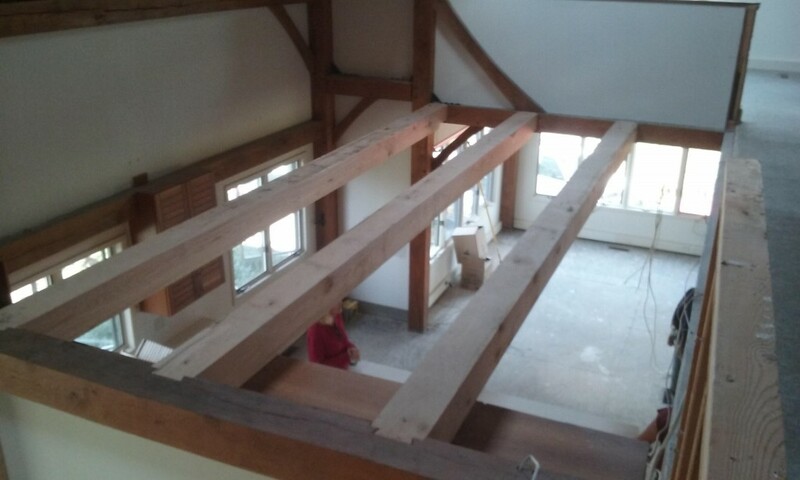 Beams are also reinforced with trusses and joists for added stability. All of these combine to create a sturdy house with a long lifespan. Lastly, there are large cavities within the walls where extra insulation can be placed. This cuts down on heating and air conditioning costs. It also helps keep the house a cost effective investment throughout the years. If you are wondering what materials you should use to build your new house, consider timber framing as a contender. When you hire a professional contractor who specializes in timber buildings to do the work, you can design the home of your dreams.